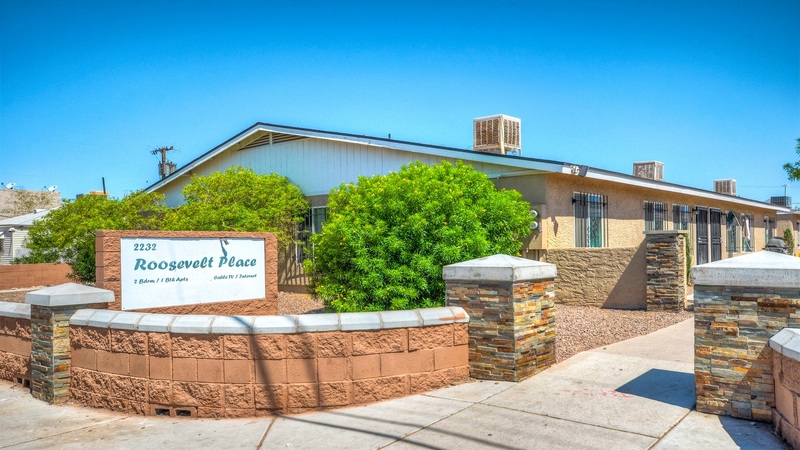 Phoenix, AZ – November 29, 2017 – ABI Multifamily, the Western US's leading multifamily brokerage and advisory services firm, is pleased to announce the $1,650,000 / $71,739 Per Unit sale of Roosevelt Place Apartments, a 23-unit apartment community located in Phoenix, Arizona. The property is a single-story apartment community, built of wood frame and stucco construction and comprised of six separate buildings built in 1984 and renovated in 2017. Conveniently located with easy access to the 1-10 and Loop 202 Freeways, this quiet, family-oriented community is also within minutes of Downtown Phoenix and Sky Harbor Airport. The property consists of all (23) 2-bed/1-bath units with a weighted average size of 785 square feet and rests on 1.07 acres. Each unit is individually metered for electricity and hot water and feature all new appliances, cabinets, countertops and flooring. "The buyer acquired a stabilized asset in a high growth area with tremendous upside through interior and exterior renovations," states Royce Munroe, Vice President at ABI, who was the lead broker and represented the seller. The Seller was a private investor based in Nevada. The Buyer was a private investor based in Hawaii. The Phoenix based ABI Multifamily brokerage team of Royce Munroe, John Kobierowski, Rue Bax, Alon Shnitzer, Eddie Chang, and Doug Lazovick represented the Seller in this transaction.